An AC system is an appliance that is not going to last forever after it is a few years old. That’s why the first thing you should care about is your equipment’s age. A typical AC system will last approximately ten years. Changing the filters regularly, checking that the condenser drains appropriately, etc., are not enough to extend your air conditioner’s life. 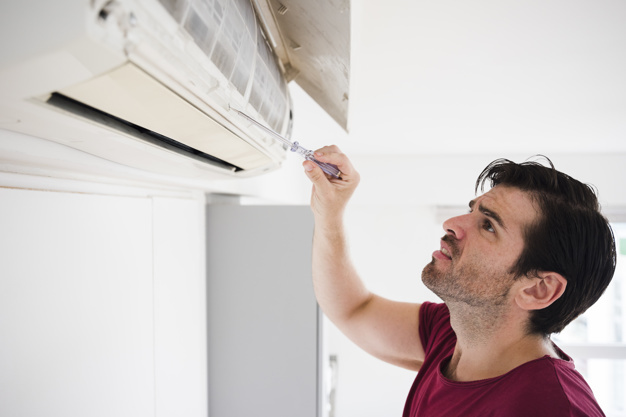 So, you should call a service technician to give your AC a thorough check for any potential problems. A technician can also predict the remaining life of the AC system and discuss with you during your annual maintenance as well. After these procedures, you should consider whether your house is as cold/hot as it has been in the past. It happens that your AC is working, but your home is not as cold or warm. 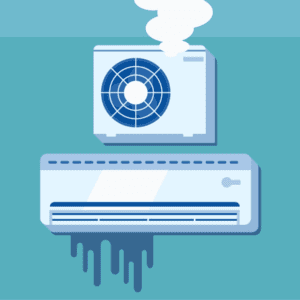 There are some signs of a broken air conditioner system such as a clogged filter, a clogged return duct, compressor failure, low Freon levels, etc. A clogged filter is the reason for some of the most issues that AC owners experience. It does not only affect the efficiency of your AC system but also it can lead to system breakdowns and insanitary indoor environment. A clogged air filter is especially problematic in summer. How does your air filter gets clogged? – If your air filter is clogged, it means that it has to work too hard to compensate for air flow blockage, Working hard overheats its motor and leads to system failure. If it happens frequently, the electronic “limit switch” safeguard will fail, and it will not fire up at all. Purchasing a new part and calling to service will cost you more than 175$. – As we mentioned above, a clogged air filter works hard, and it results in consuming more energy, and you will pay higher energy bills at the end. According to research, a clogged filter can waste 15% more power. – A clogged air filter blows unhealthy air, and it circulates throughout your house. Dirty air can contain some infectious bacteria such as chronic allergies that can affect the health of you and your family. It is too dangerous for those who have asthma or other respiratory conditions. 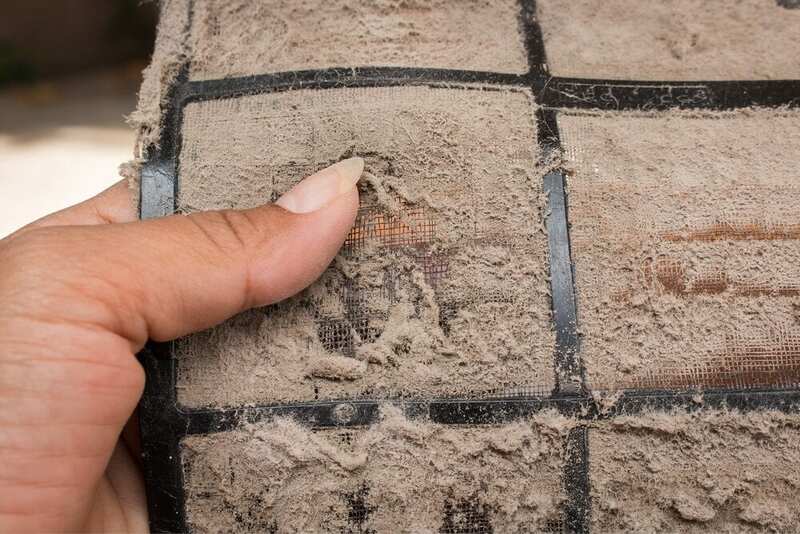 If you have pets or chemicals in the house, it will be even worse with a clogged air filter. Over time, bad indoor air quality will affect your health in a very negative way. – A clogged air filter does not allow air circulation. It will not let you reach your desired indoor temperature levels. Air is bypassed through a clogged filter by blower fans. If your filter is clogged with dust too much, blowers must make too much effort to pass the air. It also consumes more energy as well. According to a study, one of the main reason for high energy bills is a clogged filter. – the main principle of evaporator coils is to absorb heat from return air. If your air filter blocks airflow, your evaporator coils will not receive enough heat from air that can result to freeze over and shut your AC down. Lack of adequate airflow decreases the cooling or heating ability of an AC. It will not be able to remove heat from the air or vice versa. It is most likely to cause your AC to break down. If you want to avoid the problems associated with a clogged air filter, it is essential to check, clean or change air filter each month. It is not a complex task, and it only takes a few minutes. If you need help about a clogged air filter, feel free to contact AFR Dynamics. Majority of new AC does not have a belt system. If your unit is older, you will be more likely to experience the problems related to it. You will hear the noises both inside and outside of your house. In this case, you will have to replace the belt of your AC. Sounds like squealing, grating, grinding from AC can be a sign of problems as well. It displays that there is something wrong inside the air conditioner. This kind of failure can cause a price breakdown. Modern AC systems use direct-drive motors without belts that pull air across the condenser coils in the compressor. In this case, you may need to replace your air conditioner’s motor. A squealing noise shows that the belt has broken out of its place or a metal part in your AC needs more lubrication. A grinding sound can point out your AC’s motor. Probably, its motor bearings are broken. If you decrease the temperature on your thermostat and you only feel warm air, this can be a sign of many problems. Some of these problems are not a big deal, while others can require expensive repairs. You should always keep your eye on when your AC is blowing warm air. One reason for warm air coming through the AC is a loss of power. 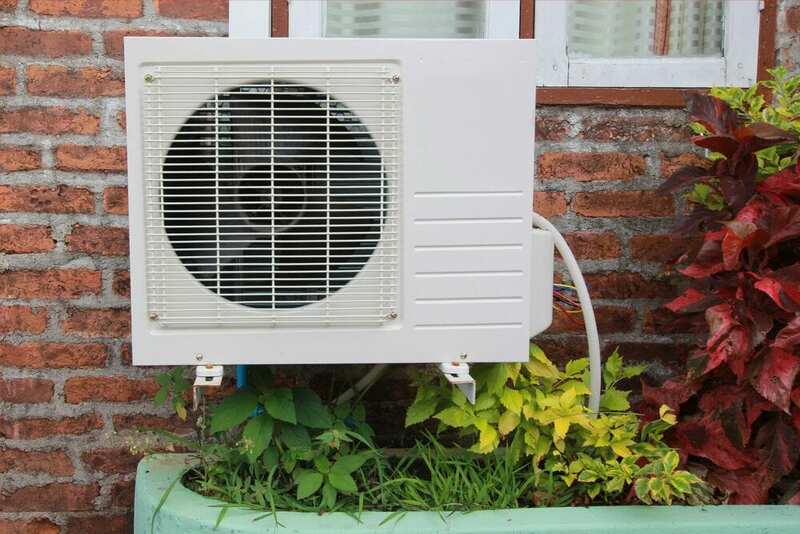 If outside part of your air conditioner does not have a connection to the electricity, it is possible your indoor unit can blow the air, but in this case, a compressor cannot work. You can get help from an HVAC technician to fix electrical connection problems and make sure that the AC system is in good condition and does not have a risk of a fire. 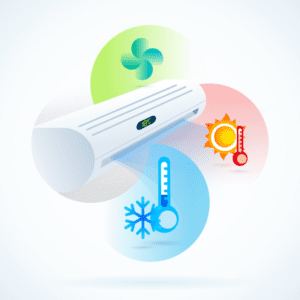 When your air conditioning system works, it utilizes coolant to remove heat from the air and push the cool air through the ducts and out through the vents. If your air conditioning system works on a low coolant level, the heat will stay in the air and come back through. You can not replace the coolant, so if your system’s level is low, probably there is a leak. It is better to get help from a specialized HVAC Contractor which can send you technicians to control your air conditioner and identify the source of the leak and how to repair it. The coils in your cooling system work properly if your AC provides uninterrupted airflow. Dirty coils that do not have the airflow they require can cause a lack of cool air. They can store up dust and dirt over time, and regular cleaning will help your unit work properly. Never try to clean the coils by yourself. It is highly dangerous to start poking around in an air conditioner, you should leave this task to a professional. The technicians will probably clean the coils as part of the service.